Can anyone identify this place ? I've been given some old frames photo's and all are of the Warrington area. I already have some of them in digital format though so I know where they all are and what they are off etc but a few are baffling me and this is one of them. 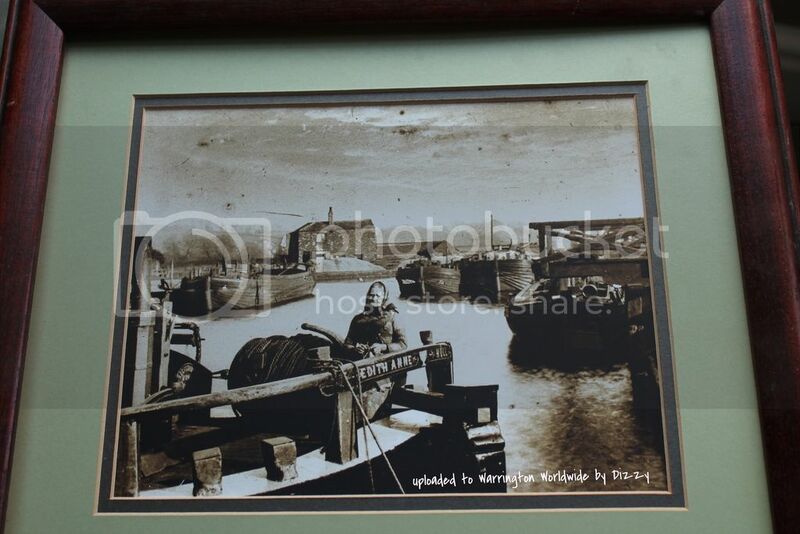 Does anyone have any idea when and where it may have been taken or how I can find more out about the boat/barge called "Edith Anne" ? I've just had a look in 'Flats and Flatmen' by Michael Stammers but it doesn't mention this boat (though there is one called Edith Mary, sometimes companies owning more than one flat would have a theme to the names. Possibly owned by the same people??) It is hard to trace boats by their names though, Stammers even says in his book that he couldn't access records from Lancashire, only those from the Cheshire side of the Mersey. I've even been to the Boat Museum at Ellesmere post to try and research boats which may have been owned by my Flatmen ancestors and they couldn't really help. It may be the entrance(behind the barge) to Blackbear canal where Kingsway Bridge stands now. The lock keepers house looked familiar. Thanks both I'd tried searching for the boat name in google Tracey and I also put 'Hull' in but didn't find anything but I wasn't sure where to look so thanks for looking in the 'Flats and Flatmen'. I'll have a rummage through my many and varied books on the subject, see if I can turn anything up. I've had a look through everything I've got but haven't been able to find anything about the Edith Ann - sorry.